The beautiful Tioman Island in Malaysia is home to beautiful beaches, waterfalls and a special turtle conservation project. Here you can learn about the important work to save the region’s endangered turtles. Here’s the lowdown on some of the best things to do in Tioman Island. The weather on Tioman Island, Malaysia is consistent all year round. Sea turtle hatching season in Malaysia is from June to September, so summer is the best time to visit Tioman Island. Known in Malaysian as Pulau Tioman, the island is part of Malaysia’s Pahang state and lies around 20 miles off its east coast. At only 13 miles long, it consists of seven villages, forests, waterfalls, sandy beaches and well-preserved coral reefs, making it a popular diving spot. Tioman has been ranked as one of the world’s most beautiful islands. We travelled from Singapore to Tioman Island, crossing the border into Malaysia and catching a bus to Mersing on the east coast. We boarded a ferry from Mersing to Tioman’s Tekek village. You can also catch a flight to Tioman island airport from Singapore or Kuala Lumpur. From Tekek we shared the price of a four-wheeled drive taxi (35 Ringgits) with Anna, a dreadlocked student from London. 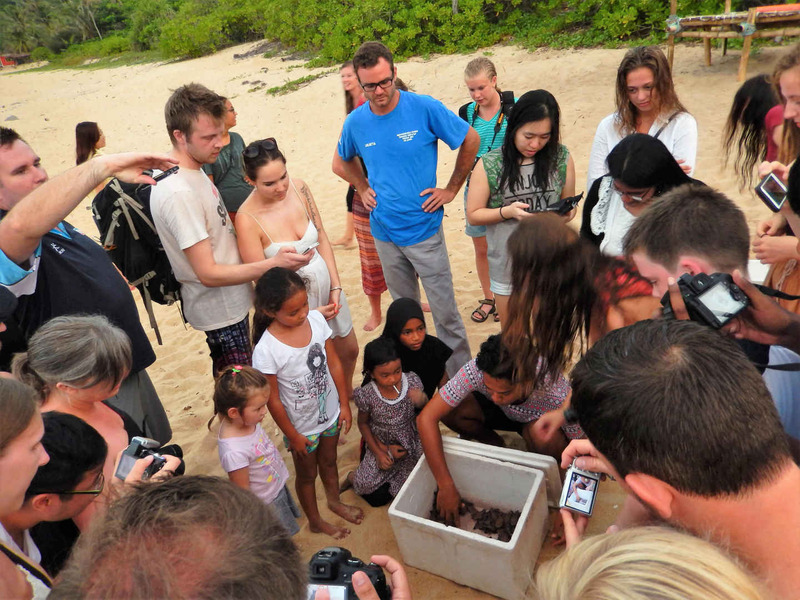 As we crossed the mountainous terrain to Juara on the island’s east coast, Anna explained how she was coming here specifically to volunteer at the Juara Turtle Project. 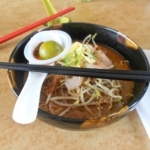 For the best two-week backpacking itinerary to explore Malaysia, check out this article. Our next task was finding where to stay in Juara village. Finding the right Tioman Island resort for you depends on your budget but the surroundings are lovely. A pristine beach with soft cream sand, a gentle blue sea and trees where you can spot snoozing bats hanging from the high branches. It is so beautiful here that people come here on honeymoon. If you have decent cash to spend, there are a number of romantic Tioman Island hotels, including the beachfront Juara Beach Resort. A mid-priced option is the Juara Mutiara Resort. While this also benefits from being right on the peaceful beach, I would not recommend their cheapest rooms (70 Ringgits per night). For two nights we stayed in a scruffy, smelly hut with a bathroom that would flood every time we used it. We couldn’t wait to find somewhere else to stay. However if you have the budget, their mid-priced chalets looked a lot nicer. 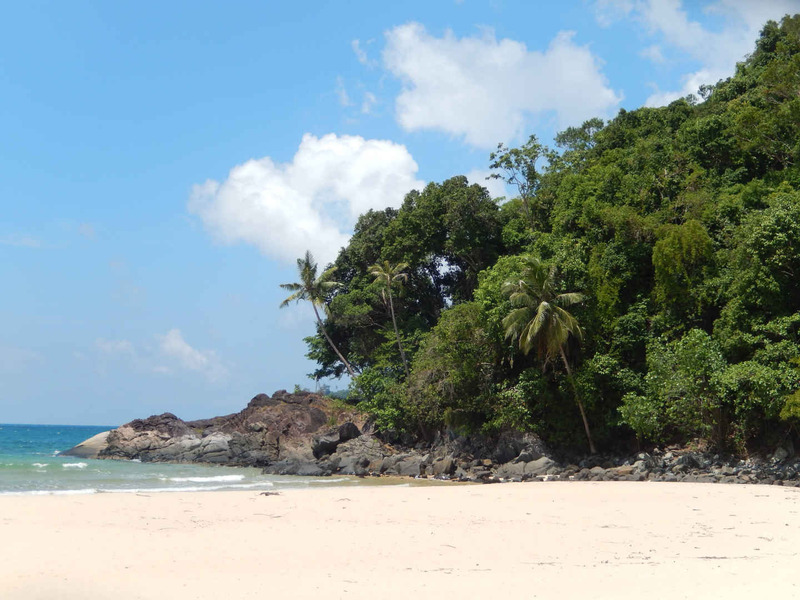 There are a few options for Tioman Island backpackers, like us. 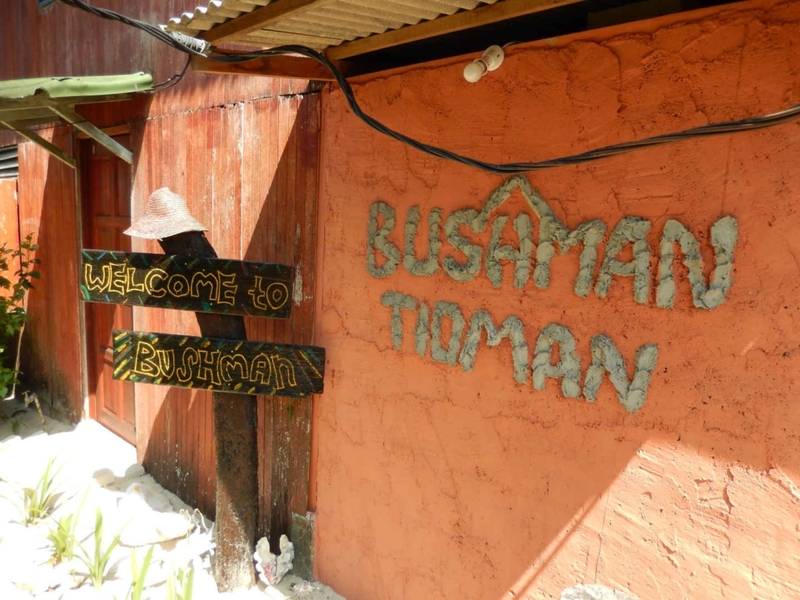 The Beach Shack Tioman is a chilled and sociable place to stay with hammocks and a pool table. I’d read in my guidebook about the Bushman accommodation. This collection of newly-built boutique beachside huts were priced at a very reasonable 80 ringgits (£15) per night. My booked said bagging one of these babies is like winning the lottery. Our luck was in, as the friendly Bushman staff gave us the key to the last available bungalow. Maybe we should have bought a Lotto ticket too. The hut was furnished with high quality fittings in rich dark wood, air-conditioning, a fridge, comfortable beds and a pleasant bathroom, all spotlessly maintained. Thoughtful touches included shell and coral decorations, a washing line and a tap to wash the sand from your feet. 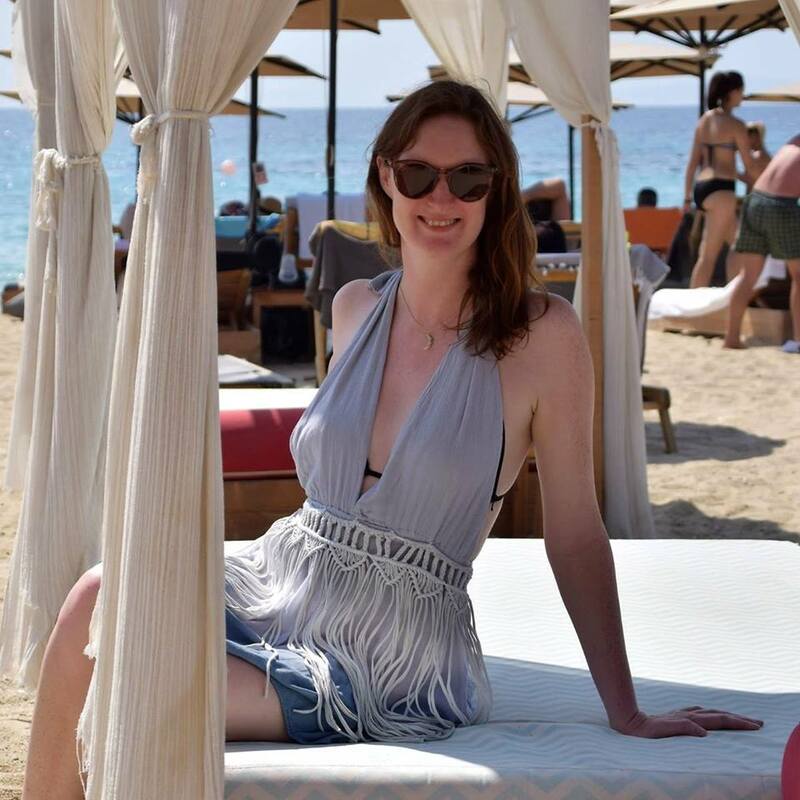 The icing on the cake was our own veranda and sun-loungers where we could put our feet up and take in the dazzling view of the beach and the sea. For me, this was easily the best place to stay in Tioman island. 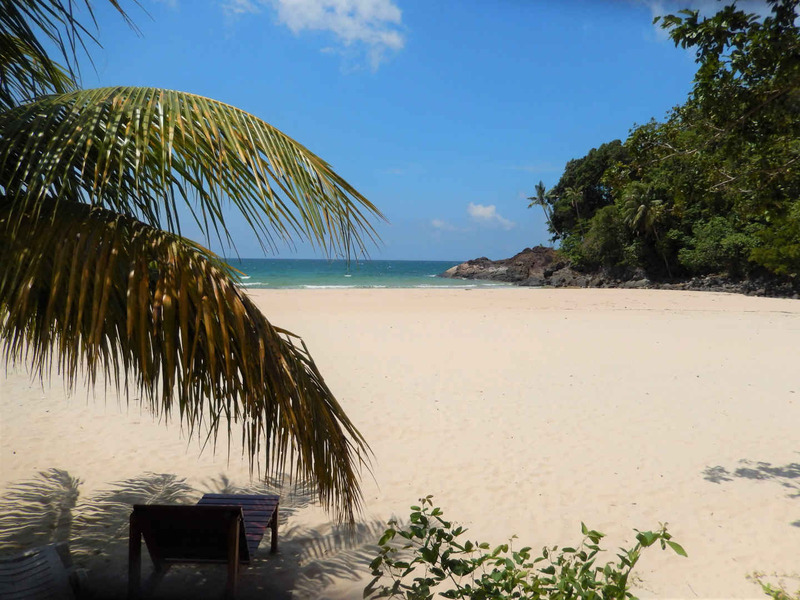 To browse and book accommodation on Tioman Island, click here. Tioman Island activities include visiting the stunning waterfalls, though getting to them can be an adventure in itself. The best known tourist attraction is Asah Waterfall in the southern village of Mukut. 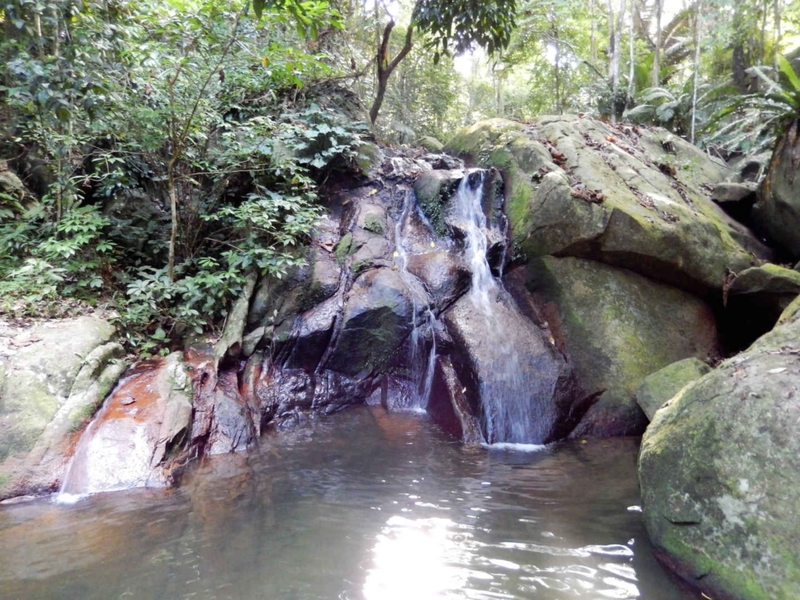 But one of the locals told us that Juara has its own hidden waterfall. While it is only a 20 minute walk from Juara beach, much of the walk is almost vertical – or certainly feels like it. It involved climbing up the steepest road I’d ever tackled on foot. At the top, tired and sweating, we finally found the small, low-key entrance. We made our way down the narrow walkway, navigating the tree roots and man-made car-tyre steps. Here we discovered a little oasis. A small but perfectly formed waterfall surrounded by trees, rocks and tangled vines. The tranquil, transparent water was populated with little fish, who didn’t seem disturbed when we dived in. It was so refreshing to cool off here in this secluded spot on a hot day. Such a soul-soothingly peaceful place. On Tioman Island, what to do during the day includes snorkelling and scuba diving to explore the rich waters around the island. 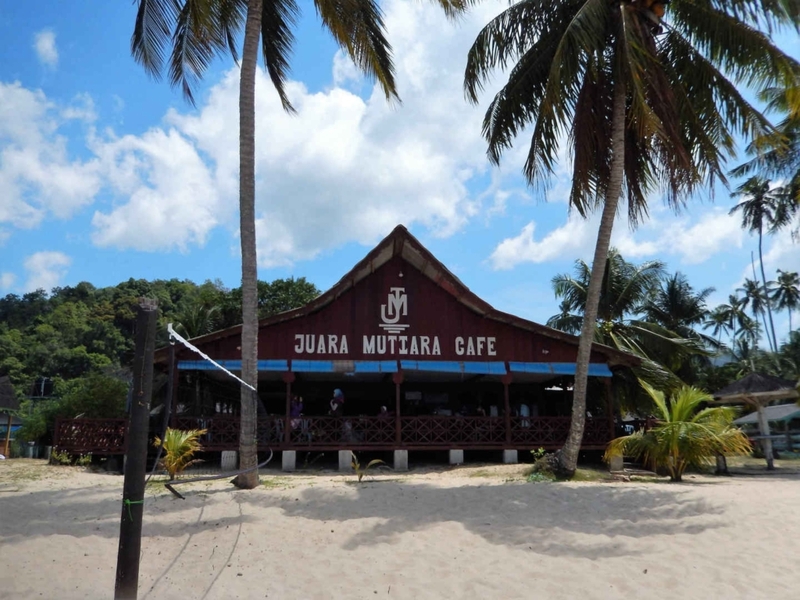 At Juara Beach, try the Amigo Dive Center, where you can take trips to stunning dive sites around Tioman including Coral Island and Renggis Island. If you’re looking for what to do in Tioman Island and you’re a wildlife lover, don’t miss its turtle conservation centre. Inspired by our meeting with Anna, and being nature lovers, we weren’t going to leave without visiting the Juara Turtle Project. Also a 20 minute walk from our Bushman accommodation, thankfully it was a flat walk this time. Immediately upon our arrival, we were welcomed by one of the sea turtle project centre’s workers. 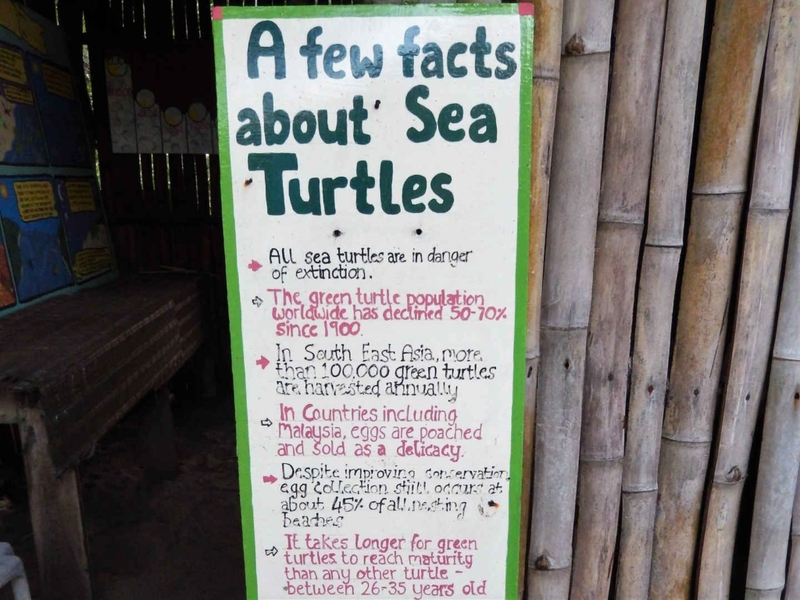 He introduced us to the valuable conservation work they do at this Malaysian turtle sanctuary. We browsed the centre’s comprehensive exhibition, which outlines how many of the island’s turtle nest beaches have been destroyed and why the remaining population is endangered. Sadly, it’s mostly because of human interference and carelessness. We were guided into the cordoned-off area that is usually only frequented by the volunteers, like Anna. 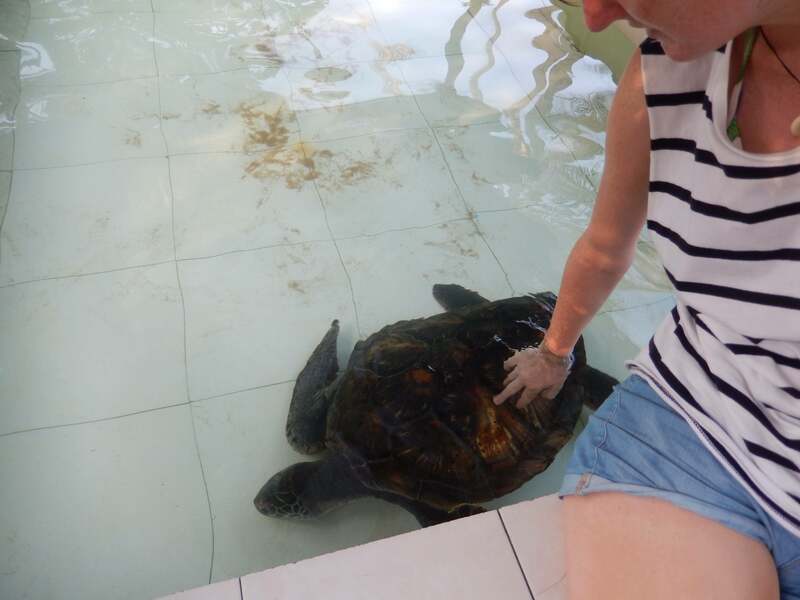 Here we met Jo, a giant turtle who the volunteers have raised by hand, as she is blind. The staff member assured us that, while Jo cannot see, she enjoys gentle human contact. Soon, Jo will be moved to a larger and more comfortable tank, built thanks to funding from a large water company. Then it was time to see the hatcheries. 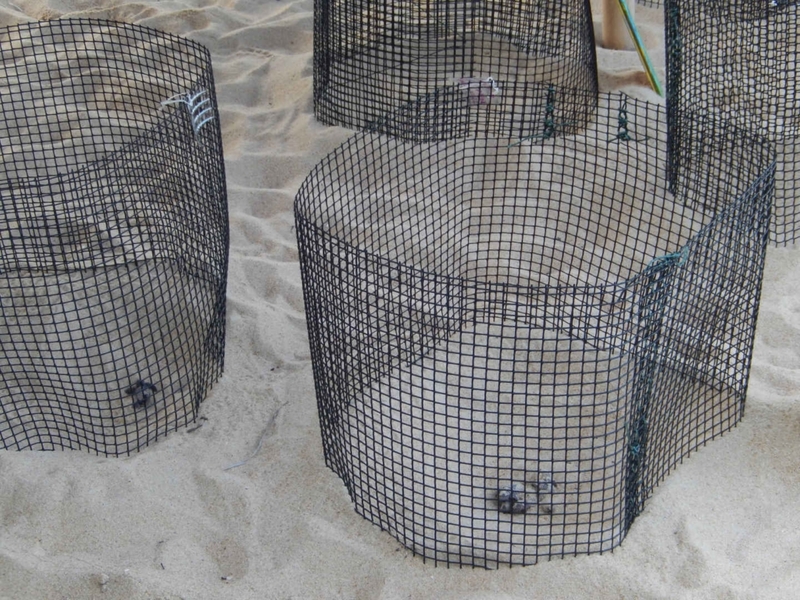 The sea turtle hatching locations are in a fenced-off section of the beach. Volunteers collect turtle eggs from beaches around the island, where they would otherwise be vulnerable to a variety of threats. They place these eggs in the hatchery for incubation, where the sea turtle eggs can hatch in safety. Each nest contains around a hundred eggs. 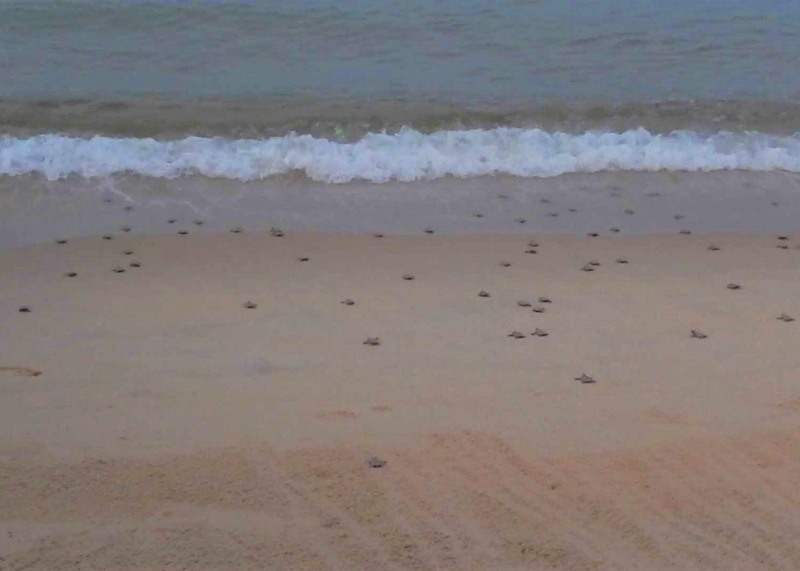 Once one of these Tioman turtles starts to hatch, the rest will follow suit within minutes. By complete chance, just as we were watching the hatchery, one of the little critters had decided that it was time to emerge. We new that the other 99 or so baby sea turtles would soon start hatching too. All the volunteers became excited, knowing that their work was about to be rewarded, as they welcomed these new precious lives into the world. 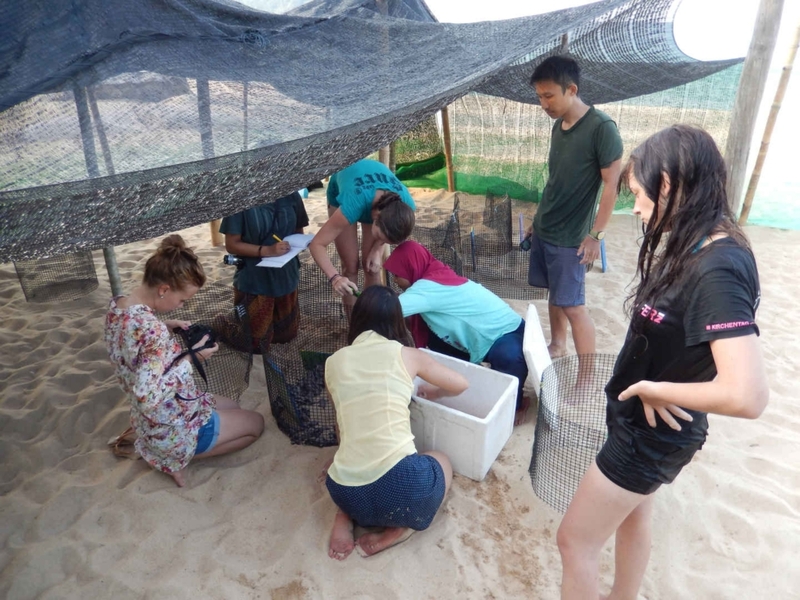 The volunteers got busy ensuring that each turtle was checked, measured and accounted for. They kindly invited us to join them on the beach at sunset. That evening, they would be helping these brand new sea turtle babies on their natural, instinctive path into the wilderness of the sea. 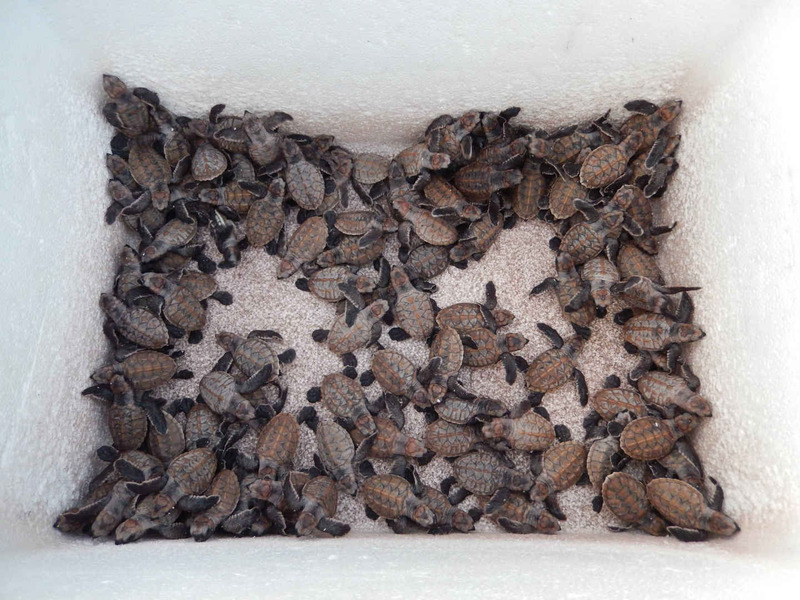 This is the final chapter in the conservation centre’s role for each turtle. That is, until the few surviving females become pregnant and search Pulau Tioman for somewhere to lay their eggs. Then, the process starts again. It felt like a ceremony, as around fifty of us lined the beach in anticipation. One of the staff members gently angled the large box containing the turtles, so they could make their way out. Despite being a long way from the sea, all of them knew exactly which direction to head, like an in-built sat nav. It was fun to watch as over a hundred turtles scrambled along the sand using their flippers, racing each other to reach the waves. Once in the sea, they would be on their own, to face their natural predators in the water and search for food to sustain them. One poor creature wasn’t well enough to make it that far, so the staff decided they would nurture it at the centre until it was strong enough to try again. This was a humbling and fascinating occasion and one I feel very privileged to have experienced. To find out where to stay near the Juara Turtle Project for your own baby turtles experience, click here. 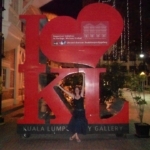 Now read about more amazing things to on your backpacking trip in Malaysia, with my best tips here.